Cambridge, MA - Using publicly available data from NASA's Kepler space telescope, astronomers at the Harvard-Smithsonian Center for Astrophysics (CfA) have found that six percent of red dwarf stars have habitable, Earth-sized planets. 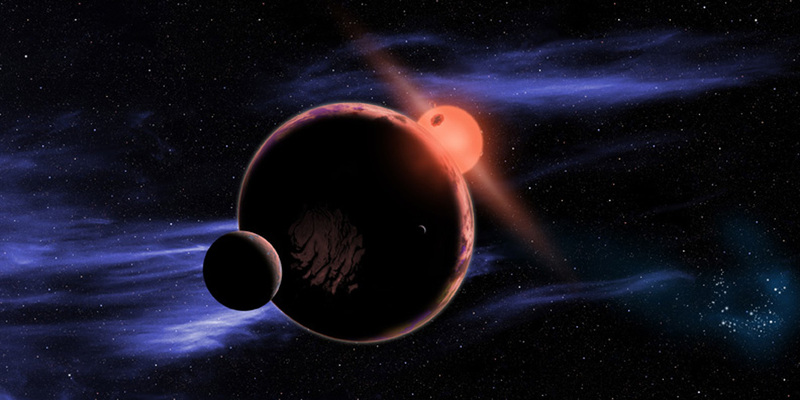 Since red dwarfs are the most common stars in our galaxy, the closest Earth-like planet could be just 13 light-years away. "We thought we would have to search vast distances to find an Earth-like planet. Now we realize another Earth is probably in our own backyard, waiting to be spotted," said Harvard astronomer and lead author Courtney Dressing (CfA). Dressing presented her findings today in a press conference at the Harvard-Smithsonian Center for Astrophysics in Cambridge, Mass.